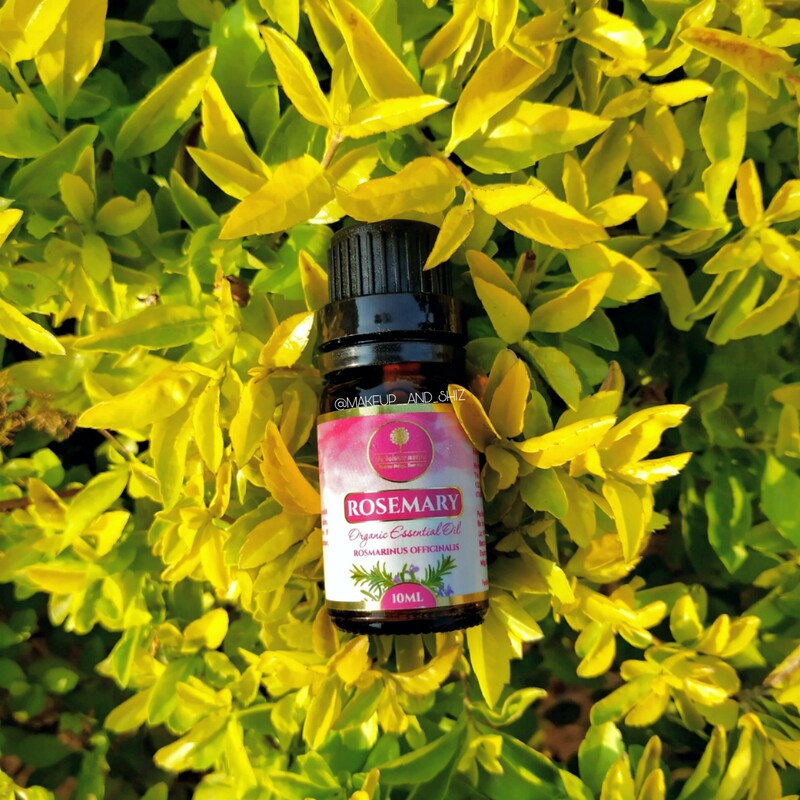 The Balance Mantra Rosemary Essential Oil- Review. Rosemary essential oil is used in many beauty and health treatments. Today I’ll be reviewing the Rosemary Essential oil by the new Brand , The Balance Mantra. The Balance Mantra is renowned in the Essential Oil industry for our strict standards of quality and use the finest sources and processes in creating our top-quality Essential Oils. Steam distilled to produce a high-quality essential oil that is organic with absolutely no additives or fillers. Organic Rosemary Essential Oil is gentle and widely used oil for aromatherapy. The Balance Mantra Organic Rosemary Oil is pure and natural, perfect to create a calming environment for anxiety and stress relief, and to soothe migraine headaches. It has a fresh and powdery, sweet yet subtly woody and herbaceous floral aroma. 100% Pure Organic Rosemary essential Oil. It comes in a black outer box which looks luxurious. It has ‘The Balance Mantra ‘ written on it. It comes in a glass bottle and cork crew cap. Mixing 4-5 drops to coconut oil ( and sometimes castor oil, too) and message into the scalp. Mix it with coconut oil and massage in the belly or abdomen to get rid of bloating or any cramps. Rosemary oil is supposed to stimulate hair growth, prevent premature greying, reduce dandruff and help with itchy and irritated scalp. I used it twice with coconut oil in a week , and I can confirm that it definitely helps with itchy and irritated scalp. About dandruff, it takes time, but with prolonged use , you will see reduced dandruff. Yes, of course. Essential oils are good for aromatherapy and often comes in handy. Urban Botanics Castor Oil – Review. FABEYA BioCare Natural Organic Coffee Gel – Review. Makes hair soft and silky. I wish it came with a dropper instead. It would have been lot easier to measure the drops. That was all for this post. Have you tried any other essential oil ? How was your experience. Comment below and let me know. Previous Nykaa Skin Secrets Sheet mask Pearl + Hyaluronic Acid, Almond+ Yogurt — Review. Next Fabeya Shea Butter Body Scrub and Polish- Review. I have used Tea Tree oil in general. Really Good enough.